Over 6 months in the planning and we sold out in less than 5 hours. 36 teams confirmed. The amount of passion, time & effort that everyone has contributed to the series came out in every single minute on Saturday. Round 1 – March 2017. 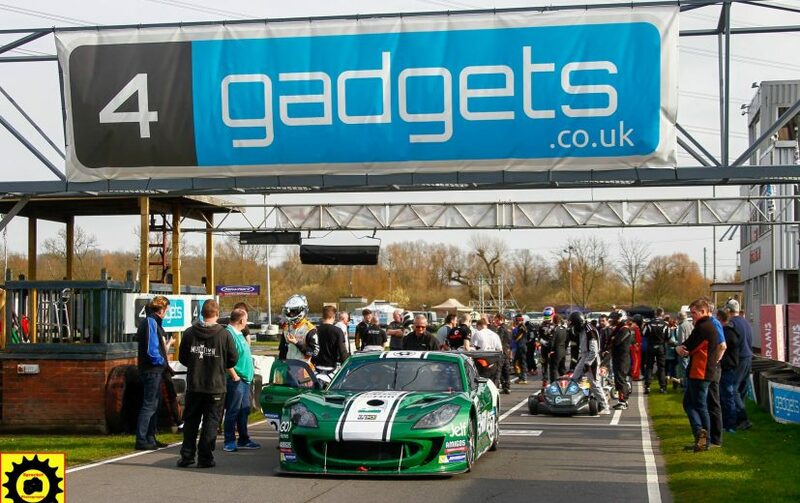 The Season opener was sponsored by RONIMX and was filmed for Motors TV (Now Motorsport TV) We will find out in the up and coming weeks when the show will be aired on TV. Team Lambo. 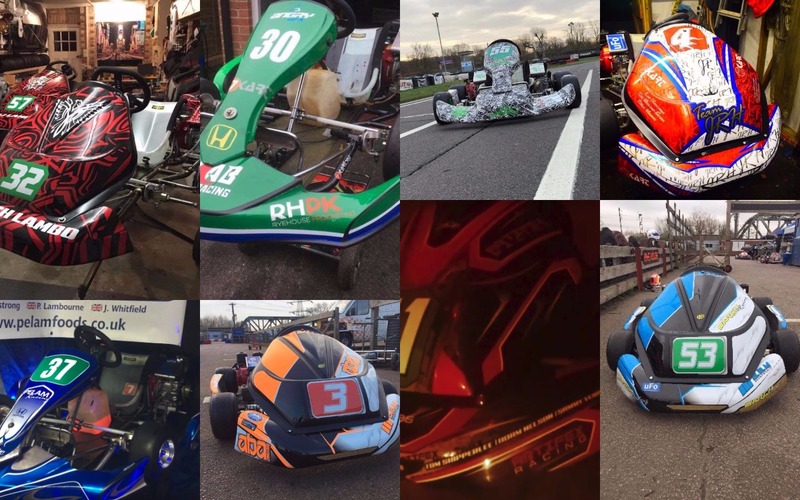 Back at the start of 2016, Geoff Lamb offered to put another kart on the grid – a couple of conversations with various Senna Cup drivers we found a couple of guys, Phil Lip and Greg Pawlik. Not only have the guys brought the paddock closer together by cooking for everyone each round but this year they offered to run last years chassis to another team – Enter SJ Lambo! 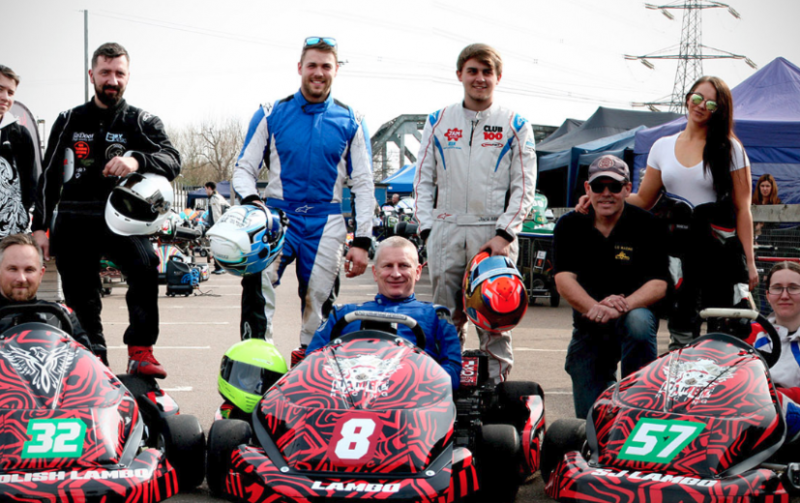 Team Lambo have no less than three karts on the grid yet will still be one of the first in line to help anyone out. 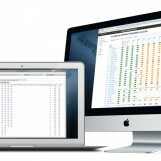 A real asset to RHPK. Last year Team Amigos won the 2016 Clubman title. The team were promoted this year into Supers for the 2017 Season. An early indication of the team’s pace was revealed in the 2017 Winter Cup as the team was fighting for the lead in some very wet conditions. All eyes were on them this month for favorites at the top. 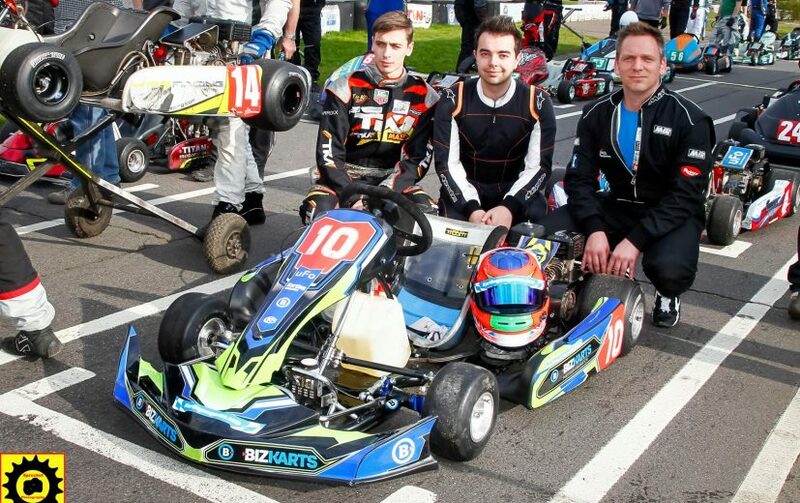 It was later revealed last month that Amigos would enter a second Kart, we featured an article on the team here… The team consisted of Jack Goldsmith, Oli Wheddon and Amigos Team Captain, Roy Grassie. 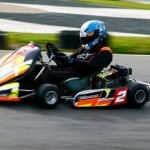 Team Karting Magazine had a last minute driver change just before the season started. Luke Cousins joined the team to replace Jack Ransome who had to pull out of the season due to work commitments. 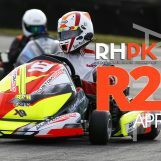 Luke Cousins raced in the very first Team Karting Magazine RHPK race last year and is returning to join the team this year for six of the nine rounds. He will be joining Team Captain Matt England and Leigh Babbage. 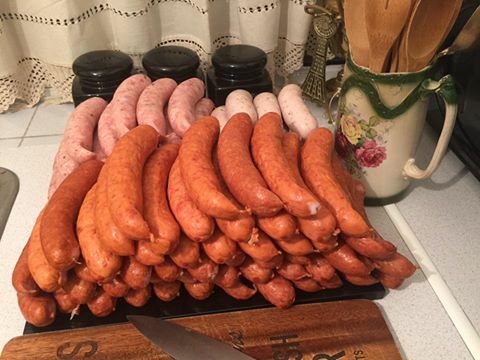 This month the Saturday Sausage fest was sponsored by March Racing & Burton Wags. Cooked to perfection by Polish Lambo, a new addition of Burgers were added to the menu for all of our teams to enjoy. Qualifying was incredibly close on a very warm and sunny Saturday afternoon. In fact, one of the closest sessions I’ve think we’ve seen in RHPK for a number of years. Drivers trying find hundredths of a tenth to get themselves up on the top spot. ABA Racing took pole with a time of 41.836. 2016 Championship winners Helicopter Services settle for second place with a 41.846! HRS1 found themselves on the second row of the grid with a time of 41.860. Winter Cup winners RPM Racing 1 & 2 were 6th and 7th place. Newly promoted Team Amigos qualified a very respectable 5th place in Super. Gforce Racing who returned to the season this year (Their last race with RHPK in 2013) were a little further down than expected – 29th. In Clubman Polish Lambo took a well deserved Clubman pole with a time of 42.420, KA Racing took the second spot with a time of 42.522, a real turn of pace for the team this year, so early on. 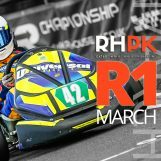 March Racing in just their third RHPK Race took an incredible 3rd place. Amigos 2 in their debut race with RHPK took 4th! 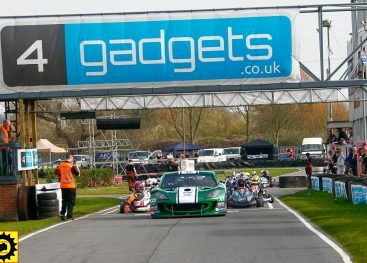 Series Sponsors Burton Power Racing struggled in qualifying, 30th place on the grid was the best they could do – The Sister team, Burton Wags out qualifying them. 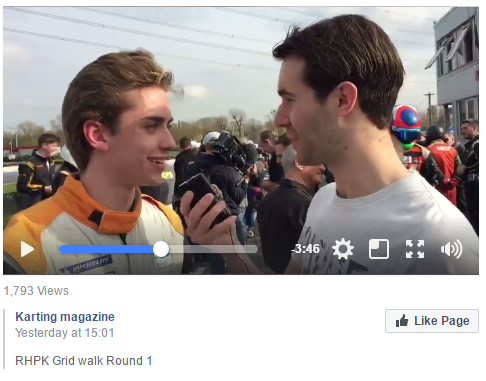 This month, Motorsport commentator & radio presenter Matt Suckling performed our grid walk and our fantastic race commentary. 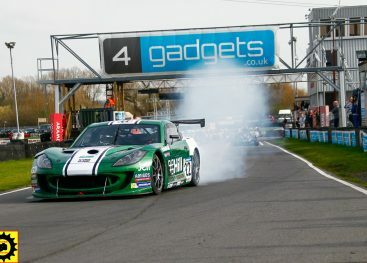 The race this month was started off by a very special pace car, Ben Green’s Ginetta GT4 Supercup Car put in a couple of laps before leading the field into the start of the race. 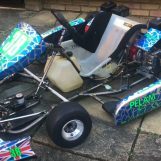 Ben Green has previously raced in RHPK back in 2014 with Super Green Racing – The team was one of the first few teams in Clubman who were promoted mid-season for their very strong pace, in fact, a couple of times we saw the Super Green Kart on the front row of the grid. A fantastic story on how Ben has progressed through the ranks to be driving for Century Motorsport this year. 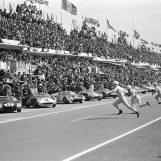 As the green flag drops ABA Racing hold their lead to a charging Helicopter Services, the start looks clean. Helicopter Services try to challenge ABA Racing after hairpin 2 but run out of room. 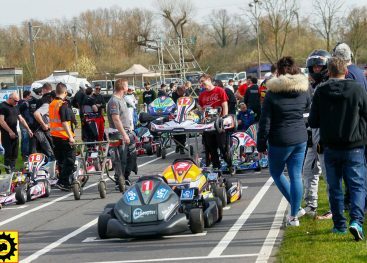 As the karts come by to complete their first lap of the 2017 Season it’s ABA Racing leading Helicopter Services. RPM Racing 1 making up 3 places on the start. Both Titan Motorsport and Karting Magazine making up places – 6th and 7th. In Clubman it’s KA Racing out in front with a kart between themselves and Polish Lambo. March Racing are following close behind. 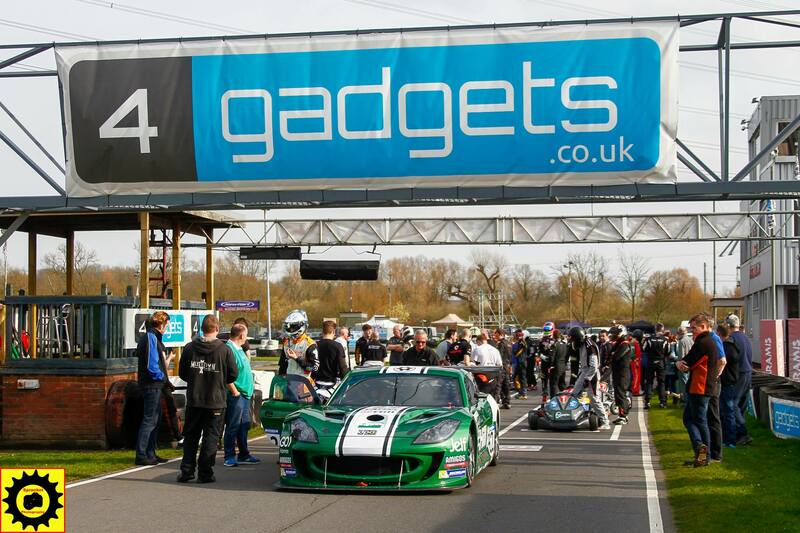 A fantastic start for BMH Racing & Lambo Racing who both gained 7 places after the first lap! Biggest mover on lap 1 is ZJ Racing, gaining 10 places on the first lap to take them to 22nd place. Biggest loser on lap 1 was HRS1 – dropping 30 places! Lap 2 and its very close at the front, ABA Racing, Helicopter Services, RPM 1 & 2, who previously jumped Custom Rods are all within striking distance of each other. Lap 3 RPM 1 take Helicopter Services for 2nd. 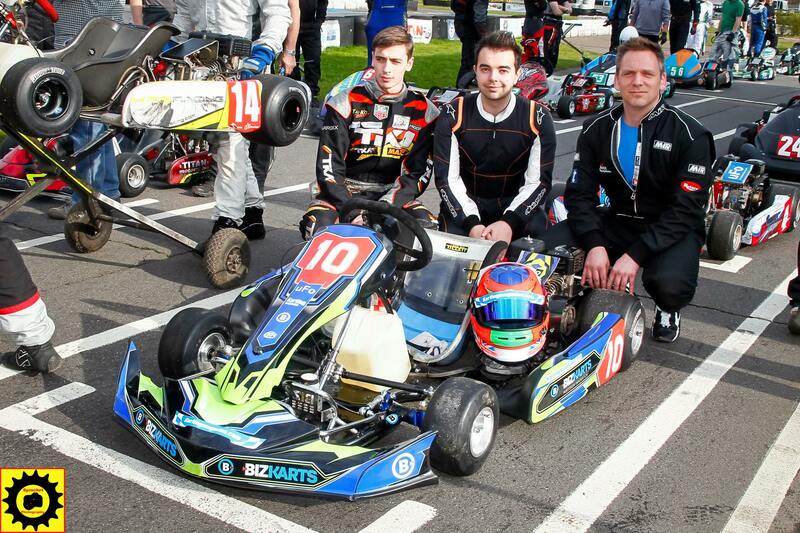 Karting Magazine look very strong – currently running in 6th place. Lap 6 RPM 1 take the lead from ABA Racing, Helicopter Services follow through to second, ABA settling for 3rd. Team JAM drop 5 places, Lambo, March, BMH, JND & SJ Lambo all jump up a place. SJ Lambo in their debut race are looking very strong, currently running in 16th place overall, 7th in Clubman. Lap 8 ABA Racing drop another place to 4th. KA Racing still leading clubman. Lap 10, JND Racing gain two places over BMH & March Racing for clubman 4th spot. Lap 18, Disaster for Team Karting Magazine who had to pit as Matt English could not go on any further due to a back injury (Not karting related!) 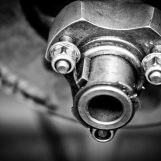 Amigos also had problems, bending a track rod due to an incident on the track, losing them 12 laps early into the race which took them out of contention – Such a shame for the team given their strong pace throughout the day. Sister team, Amigos 2 had a troublesome race including losing a transponder which put an end to their race. Lap 22 a change for the clubman lead, Polish Lambo overtake KA Racing and are leading the clubman pack. A great battle between the two teams has them swapping positions for the next couple of laps. Disaster for SJ Lambo as their track rod breaks, they were running 5th in class. They go on to push back through the field to take 9th in class. 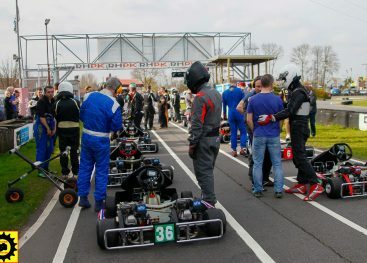 HRS1 retires after just 60 laps, the sister kart, HRS2 will later retire on lap 111 – a disaster for both teams given their very strong pace throughout the morning. Burton Power Racing are pushing through the field, by lap 70 they are 14th. JRH Racing have an issue with a sticky throttle and pit early to try to repair. They drop down to 19th. APL Racing are doing well to come up through the field, by lap 80 the team are in 9th place in class. Unfortunately they later suffer an engine failure which drops them down to 26th place. As the clock ticks over into the last hour, Custom Rods are chasing down ABA for 3rd place. ABA look to be struggling for grip and have to concede to Custom Rods who take 3rd. The battle for the lead between RPM1 & Helicopter is less than 10 seconds towards the end of the race. In the final stages all eyes are on JRH who are closing down on Team JAM for 7th place. As the chequered flag drops there is less than half a second between them – Team JAM doing just enough to stay in front! The win goes to RPM1, Helicopter Services, who were unable to chase down RPM1 at the end settle with second, Custom Rods in third piping ABA near the end. Pole sitters ABA Racing take fourth and the second of the RPM teams, RPM2 take the last spot on the podium. Newer comers, March Racing take the win over JND Racing in second place. Mike and the rest of the March team overjoyed in their 3rd race with RHPK. Polish Lambo take third spot – the team were certain for a win, unfortunately having to make an additional, unplanned stop. There is no denying Polish Lambo’s pace this round who looked favorite for the top spot. Despite their disappointing qualifying position Burton Power take 4th place in class and JAB Racing taking the last spot on the podium, 5th. Despite the progress of ZJ Racing last year, the team were a little further down the field than expected this race, no doubt they will return stronger. 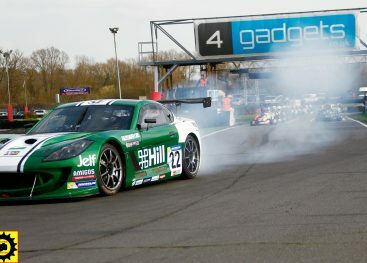 Gforce Racing returned this year, the team were plagued with issues, later having to retire. What happened to Amigos then? Kev, please find the updated version. I’m still piecing it all together! Got a knock early on and had to change a stub I think….